For several years CounterPath has offered softphone clients, initially the free XLite with a limited feature set and later the more scalable, robust, secure and versatile Bria series supporting SIP-based PBX installations. 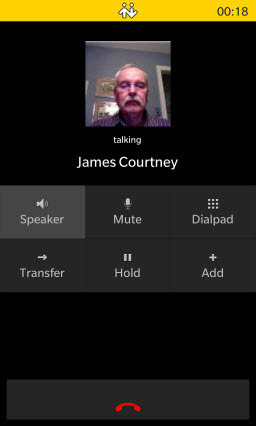 Over the past few years I have covered CounterPath’s Bria softphone client and its evolution across multiple platforms, including iPhone, iPad, Android (phones and tablets) as well as Windows and Mac. 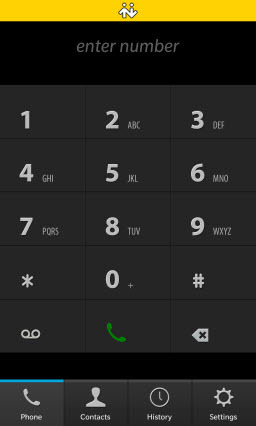 When appropriately configured it can become a desktop extension phone on a PC or a mobile extension of the PBX on a smartphone or tablet. Bria’s target market includes enterprises with SIP-based PBX’s, either hosted or premise-based, and service providers who need to offer their clients a reliable, robust and versatile softphone end point, whether desktop or mobile, to complement their SIP-based PBX offerings. 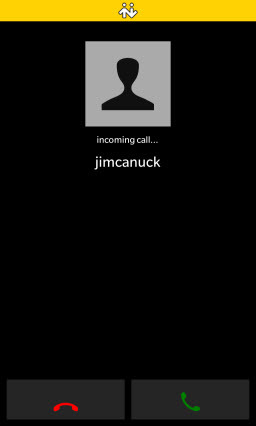 Personal use of Rogers One Number service, based on the Bria technology, provides me the option to answer (and place) my BlackBerry calls via my Windows PC or Mac as well as follow SMS text messages threads. Rogers One Number becomes especially valuable when traveling outside Canada as I can simply use WiFi connections and avoid roaming charges. Customers can add their own technical requirements and incorporate their own branding (as Rogers did). CounterPath’s website includes a demonstrative case study where Bria is supporting 30,000 employees at Bosch operations in Europe and Asia-Pacific. 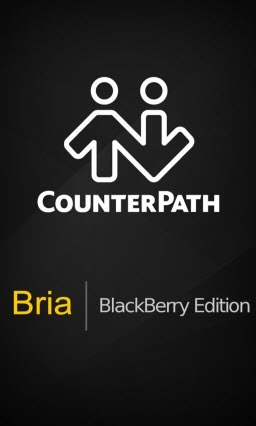 Today CounterPath has announced the launch of Bria BlackBerry Edition providing the basic features of a SIP end point, initially with a focus on voice calling and voice call management. 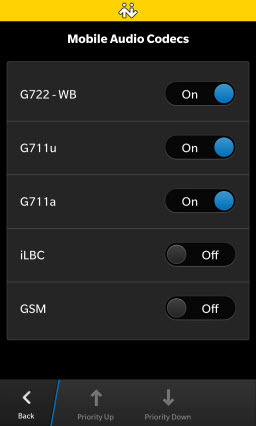 Bria BlackBerry Edition will follow a similar evolution as happened with Bria for iPhone, iPad and Android devices. Initially available for the Z10, the Q10 version will follow in a few weeks. 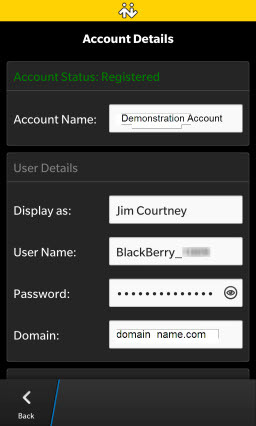 Over the next six months Bria BlackBerry Edition will evolve to include support for video calling, wideband codecs (including SILK and Opus), IM, social networking integration,and multiple SIP accounts. Todd pointed out that, with several million downloads and installations, their enterprise customer base had been asking for a BlackBerry 10 client; in effect, it was an issue of fully supporting requests from their existing customers. In addition CounterPath wants to be able to expand their potential market by offering a complete enterprise solution, especially as a secure complement to BlackBerry’s BES 10 server and BlackBerry Balance. As a result CounterPath customers can elect to use PC’s and mobile phones and tablets, depending on each user’s individual platform/device, work patterns and requirements. Bria can be concurrently installed on, say, a PC and BlackBerry 10; the user can receive and place calls on whichever is convenient at the time of the call. 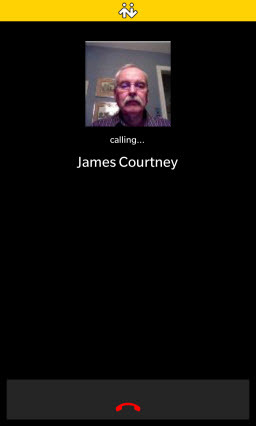 After considering the developer options, such as an Android port, CounterPath elected to go with a native application to be able to take full advantage of BlackBerry’s inherent API’s. There were speed issues as well as the ability to take full advantage of integration with the native Contacts directory, call Notification in the Hub, and other features of BlackBerry 10. For instance, once it supports instant messaging, Bria’s IM could easily become a Share card option. Other issues addressed by a native app include support for BES and BlackBerry Balance, and support for headless / background operation in the forthcoming BlackBerry 10.2 OS. 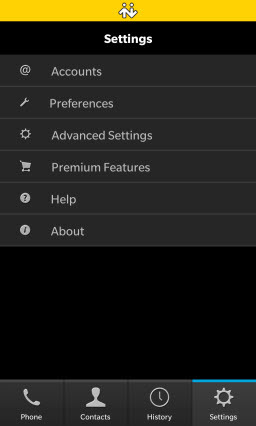 Bria BlackBerry Edition is available on BlackBerry World. The one-time $7.99 price includes upgrades as they become available. Options are also available to automate user installation within an enterprise via the Bria Client Configuration Server which can be hosted or premise-based. Bottom Line: Bria BlackBerry Edition complements BlackBerry’s focus on supporting enterprises and turns the BlackBerry 10 into robust, reliable and versatile end points on a hosted or premise-based PBX, taking full advantage of the PBX’s features whether in the office or at a remote location. Beyond the inherent security of BES 10, it provides additional security for the audio stream and media handling. From the BlackBerry viewpoint Bria BlackBerry Edition becomes one more resource to complement BlackBerry 10’s focus on delivering a unique communications portfolio. Full disclosure: The author has a small holding of BlackBerry shares. But he also has iOS and Android devices in order to experience a cross section of the smartphone and tablet market. He is currently has a service provider consulting client where Bria on all platforms is a critical offering with their PBX solution. These observations are based on publicly available information combined with his own past business experience at senior management levels in high technology markets.His main interest is in seeing several thousand jobs maintained in not only the Canadian economy but also in BlackBerry organizations around the world. Given that RIM stock has been somewhat volatile for the past few months I can only say check with your investment advisor before taking any action. These posts are for information purposes only.